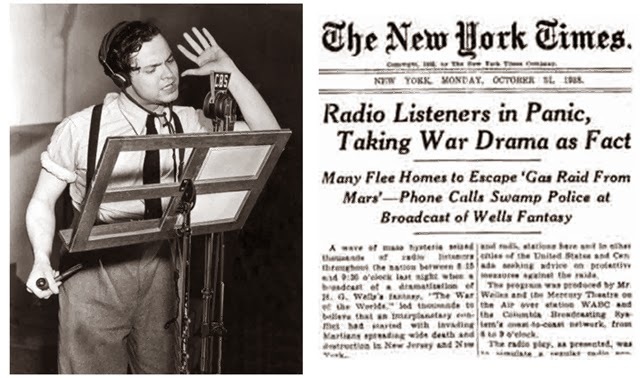 75 year ago tonight, on the evening of October 23, 1938, 23 year old wunderkind Orson Welles terrorized the world with a special Halloween radio broadcast of H G. Wells War of the Worlds. 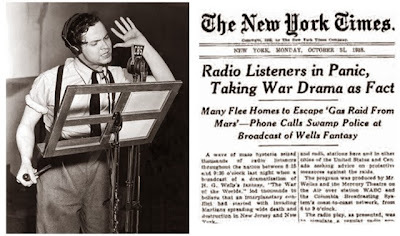 The broadcast, an adoption of the famous 1898 science fiction novel War of the Worlds by H. G Wells described an invasion of the Earth by Martians who first landed in the town of Grover's Mills New Jersey. 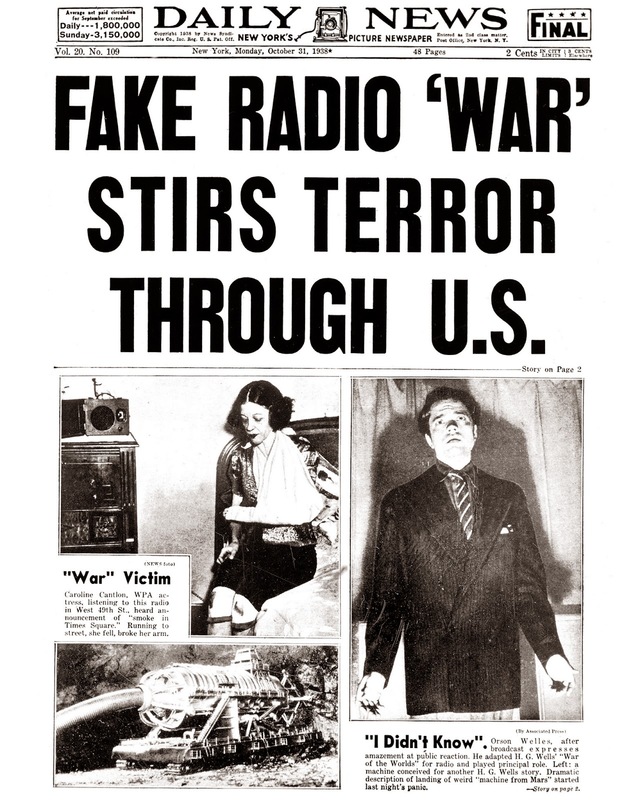 Although the broadcast was announced as a dramatization before, in the middle, and after the broadcast, many people turned in to the station "surfing" the radio dial, and just heard the very realistic terror that was being broadcast. 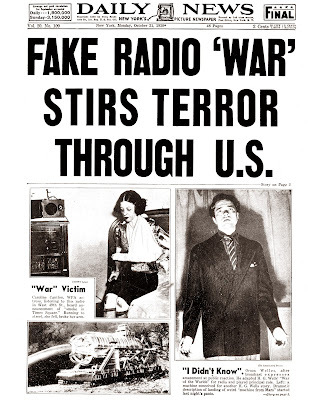 The fear that gripped the United States, and the world, cannot be exaggerated. 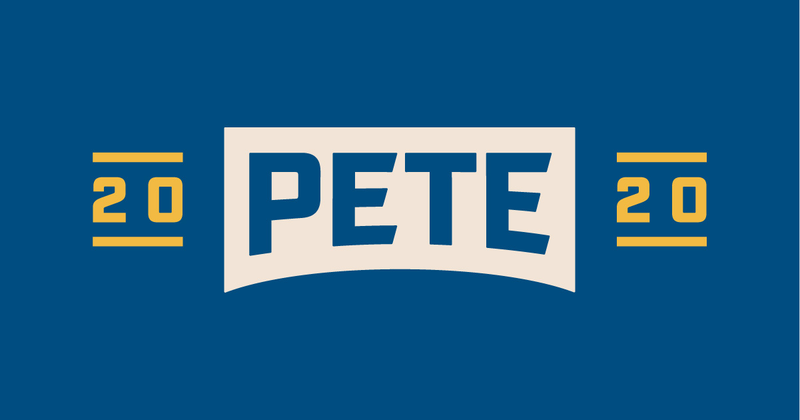 If you would like to hear the entire one hour broadcast in its actuality here it is. It really is gripping.